What Movies From 80s & 90s Toys Do You Still Want to See? If Hollywood can try to make a Dino Riders movie, any franchise is up for grabs. Growing up, we all had one weird toy or game we loved more than anything that today, nobody remembers. Well, maybe not nobody. Hollywood sure seems to remember. In recent years, M.A.S.K., Micronauts, Voltron, Creepy Crawlers, Dino Riders, and other movies based on toys have been in various stages of development. At the same time, toy franchises that have already been made into movies—like Masters of the Universe, Transformers, and G.I. Joe—are in the process of being rebooted. Add to that the slew of board games, ‘80s cartoons, and other similarly nostalgic properties which have all had their 15 minutes of movie stardom. But there are still hundreds of obscure toys, games, and cartoons that Hollywood hasn’t tried to adapt yet. We’re wondering: What do you want to see? What are some of the toys that Hollywood has yet to attempt (or already attempted, and failed)? Here are a few the staff of io9 came up with to get the ball rolling. And yes, we realize that, especially in the ‘80s and’90s, the lines between toys and cartoons became very blurry. Some cartoons were made to sell toys (still the case, for the record), and some toys were made to sell cartoons. Let’s just put it all in one big basket and play around. So, what do you think of that list? Do you remember any of those? Do they deserve movies? What are some of your ideas? 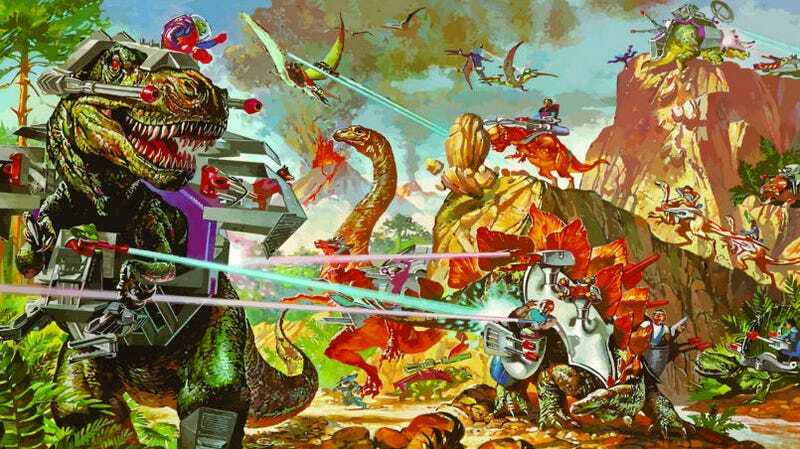 Rumor: Mattel Wants to Make a Dino-Riders Movie. People Want a Lot of Things.